Text messages, police interrogations and other details emerged in a new crop of documents released after Watts pleaded guilty and was sentenced for killing his wife and their two daughters. Anyway he's crews want the owners. I'm murderer's confession on tape. First ten years. Part of a massive trove of documents made public today mr. watts why did you kill your wife and two children. I prosecutors in Colorado in the murder case against Chris watts. Pled guilty to killing his wife and two daughters and was sentenced to life in prison. It includes photos. Text yeah body can videos. 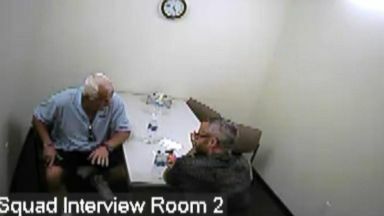 Asks videos at watch polygraph test you didn't. And her new details about his secret life as investigators. Were closing in on him. Watts and his wife should end. Appear to be that picture perfect family in the small town of Frederick Colorado he was the one for me and he is amazing. In social media videos watts played the part of a loving husbands and doting father to bella and less. Oh. She had a baby on the way so things means. That's just the tests the new evidence now uncovering a much darker story one of deceit. Affairs financial trouble. And a marriage in turmoil. The family had filed for bankruptcy three years prior and was suffering from crippling credit card debt. Documents also show watts was meeting people on the dating app Tinder and having an affair with a coworker. Keeping intimate photos of her hidden in a secret app on his phone. Text messages now show that just a week before her murder should man had been hinting at the unrest at home telling a friend quote. Chris told me last night he steered to death about this third baby. And he's happy with just bella and Celeste and doesn't want another baby adding he has changed I don't know who he is. The horror began the morning of Monday August 13 Calder and text her several times Nicole you topped finance friend. Had dropped draft at home at around 2 in the morning after she returned from an out of town business trip just hours later she and and who is fifteen weeks pregnant. And her three and four year old daughter Celeste and bella bill missing. I think issued a doctor's appointment that morning. She didn't show up for it anxious worried sick I don't know worship that this is completely blanked Kirk. You just called finance husband Chris crystal to the last time he saw his wife and kids with that morning at 515. When he left for work after a cauldron texts are ones is late night. Minister just as you when her friend showed up that's foes like. They registered like this is their right Chris says he rushed home and you just called police inside that house they found should man's wallet and keys but no other signs of life. Does concern in years they're age. Period it's earlier out there. Is they are perfectly clear do you. But evidence now shows Chris sent these text messages before that call was placed labeled by authorities as staged in the discovery documents. If you take the kids somewhere please let me know where they are act. Six hours later he sent another text fission and where are you. The Heidi camera video shows watts. Letting police into their Colorado home. No you go wrong. Officers and dogs searched every room for clues. Are you all right let's forget it out through the house as well I'll. Throughout their growth. Comeback by Tuesday afternoon Chris watts was speaking to local TV stations and somebody has served us. They bring her back his interviews at first evoke sympathy but upon closer examination suspicion. Watts reveal that he and his wife had exchanged words the morning she vanished. She looked like our Internet emotional conversation but I'll even of that but it's. I saw him back. If you watch his interview personal it's very flat it's an emotional. He spends a lot of time rocking back and forth and he also holds himself like I'm doing right now. That's a defensive posture that's saying I'm not gonna let Ewing and I'm really control woman going to say. That Tuesday night watts went to visit friends Amanda and nick fair they spoke when my colleague. Clayton send out. Did it ever cross your mind to even ask him if he was involved in the disappearance of his own family. We admitted by this just doesn't look good for Chris. That evening Chris would send an email opting into a fantasy football league then on Wednesday. Everything changed heartbreaking outcome to the store we have been tracking all week to confession of a father. He'd been brought in for questioning and after failing a polygraph test pregnant woman and her. Here tailor its. Many here know that. The interrogators crescent walks further. You know why you see your your mind when you why do you even here yeah. Thrifty. Creditors who literally the next go around solo home nestled somewhere. Lots then asked for his father telling him mission and broke down after he brought up a separation. Claiming he killed his wife because she murdered their two young daughters. 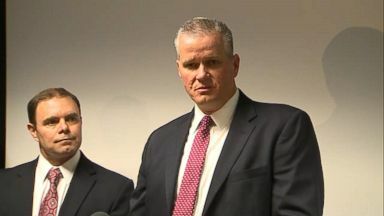 But investigators say watts it was only telling half the story. That he killed his wife. And their two children late Wednesday night watts was arrested and by Thursday police Iraqi oil fields where watts used to work. And there. They found three bodies financing in a shallow grave and the bodies of bella and Celeste submerged for days in oil tanks. This afternoon my office filed formal charges against Christopher Lee Watson nine charges against watts were filed. Including five counts of first degree murder and one for unlawful termination of a pregnancy year. His motive was simply your honor he had a desire. For a fresh start. To begin a relationship with a new love that overpowered all decency and feelings for his wife his daughters and unborn son. On November 6 watts pled guilty in exchange for prosecutors taking the death penalty off the table. A decision endorsed by action and family at last week's emotional moment sentencing hearing. I have no idea or. Who gave their right to take their lines. This is the heartless won the evil monster who dare you take the lives of my daughter Shannon bell us Celeste and you go. I trusted you to take care of them not kill them. Prosecutors revealed heart wrenching details about how watts killed his wife and daughters your honor understand very clearly bella fought back. For her life watts remained silent. Would you want to make a statement as the judge sentenced him to five consecutive life sentences. With no possibility for parole. This is. Perhaps be most inhumane and vicious crime that I have handled out of the thousands of case that is that I have seen. Shannon's family is now filing a civil suit is well hoping to prevent watts from benefiting from this case in the future it's very very important to. The -- sick fairway that Chris watts never be able to receive a dime. From any of these murders nobody's going to be be able to bring baction and or Feller so last. But Chris watts will never see the outside of a jail cell. For the rest for his life ever. "This is perhaps the most inhumane and vicious crime that I have handled out of the thousands of cases," Judge Marcelo Kopcow said. The victims' family agreed to the terms in exchange for Chris Watts' guilty plea. Watts first told investigators that his wife killed their daughters, then he killed her out of rage.